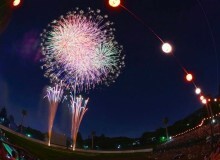 Hanabi (fireworks) are an essential part of the Japanese summer. 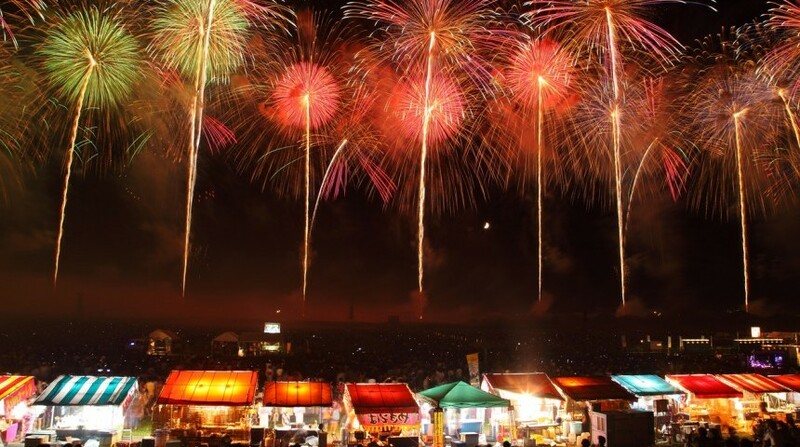 Nothing beats cold beer, street food and yukatas (light kimonos) on a hot summer night as you wait for thousands of stunning explosions to fill the sky. If you’re lucky enough to be in Japan during the summer months, make sure to hit some of the following spots. 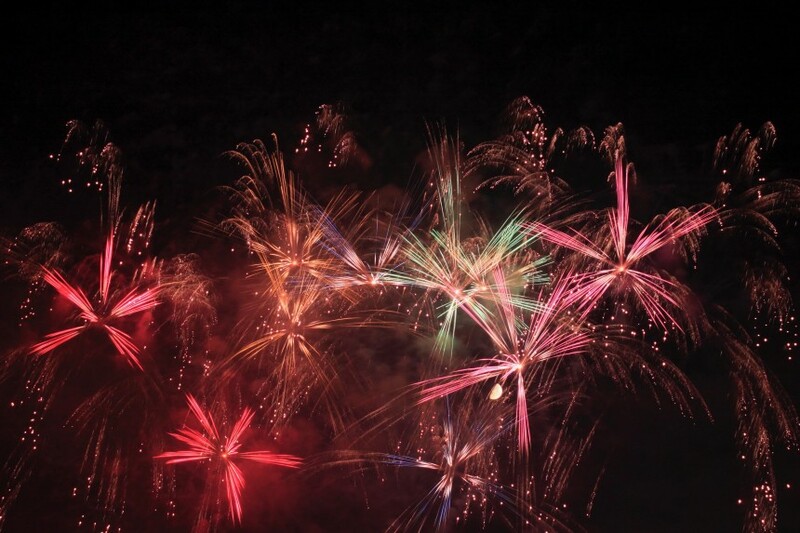 Dating back to 1733, this firework festival is known as the oldest in the country. 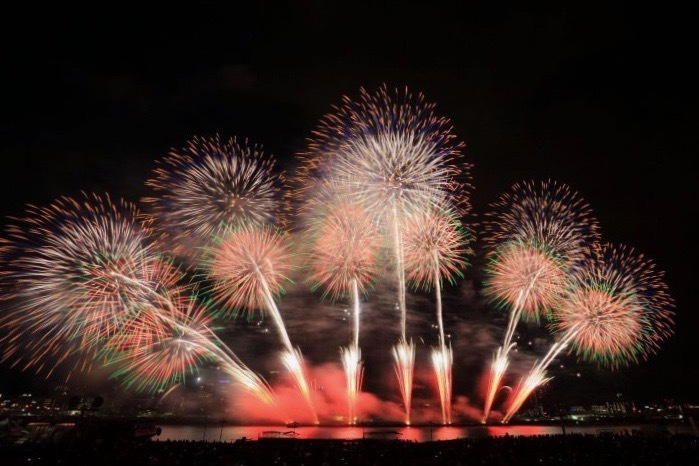 The annual event takes place on the last Saturday of July, and with almost 1 million people attending, it’s one of Tokyo’s biggest hanabi events of the year. 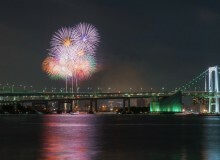 You can stand on the Kototoi Bridge, Azuma Bridge and Komagata Bridge to enjoy the dazzling display close-up. 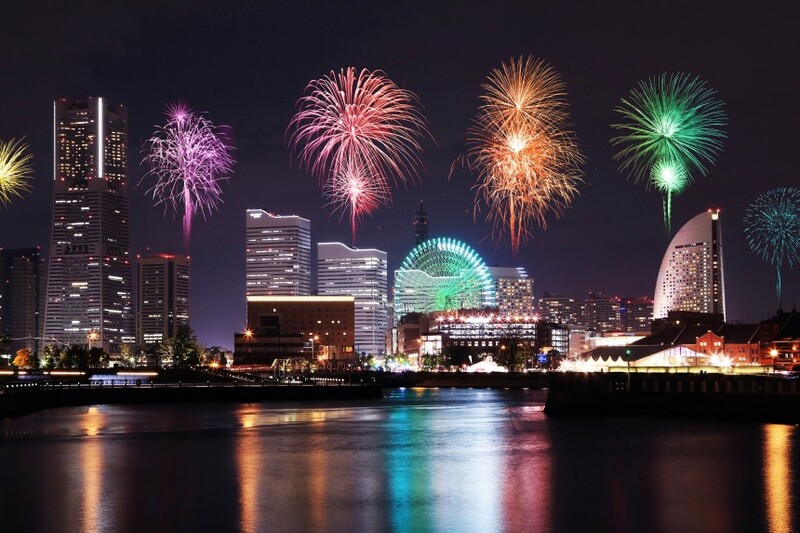 If you want to avoid the crowds, you can catch the display from Tokyo Skytree or Oyokogawa Water Park. 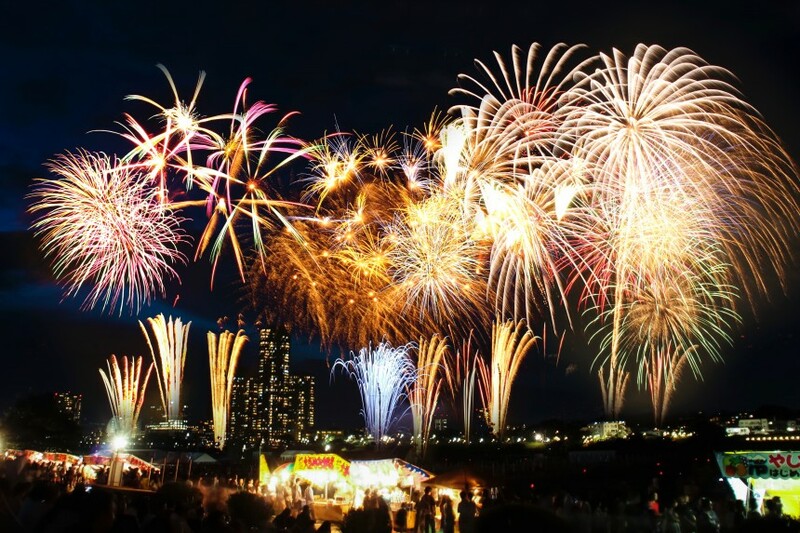 Approximately 12,000 fireworks will light up the Tokyo sky at this event, which attracts nearly 1 million visitors each year. Pay for a seat at the Jingu Stadium, Rubber-ball Baseball Ground, Prince Chichibu Memorial Rugby Stadium or the Tokyo Metropolitan Gymnasium. 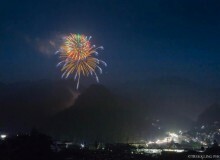 You can also find a spot on the streets nearby to catch the amazing show for free. 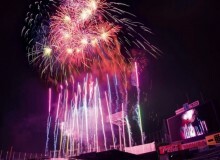 A live music show, known to feature big-name popstars, will take place at the main venue, Jingu Stadium. 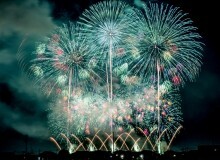 This massive fireworks display will draw an estimated 1.3 million people to the banks of the Edogawa River. 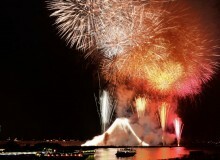 Over a thousand fireworks are launched in the span of just five seconds for each of the eight acts in the 75-minute show. Shinozaki station is close to the park and bound to be crowded, so access from Keisei Edogawa and Mizue stations is recommended. 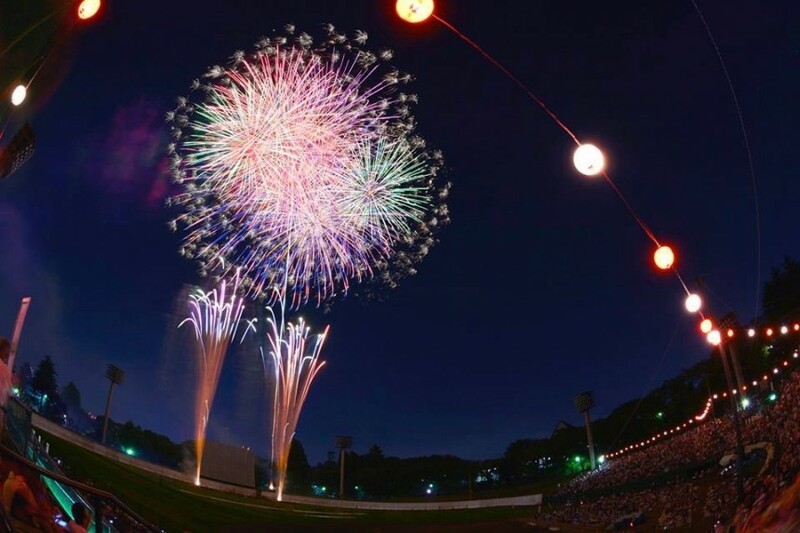 About 13,000 fireworks will go off in the center of a large baseball field by the Edogawa riverside in the 52nd edition of this annual festival. Last year, nearly 8,000 people attended. This festival is smaller than other major hanabi events, so it’s the perfect choice for those who want to enjoy a stunning show without fighting tooth and nail for a good seat. 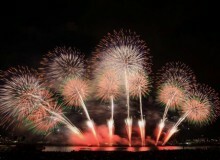 Nominated as one of the best and the biggest firework festivals in Tokyo, the Itabashi Fireworks Festival sets off over 10,000 fireworks along the Arakawa River for a tremendous 90-minute show. To secure a good vantage point, reserve a seat in advance and enjoy the magnificent show up close. 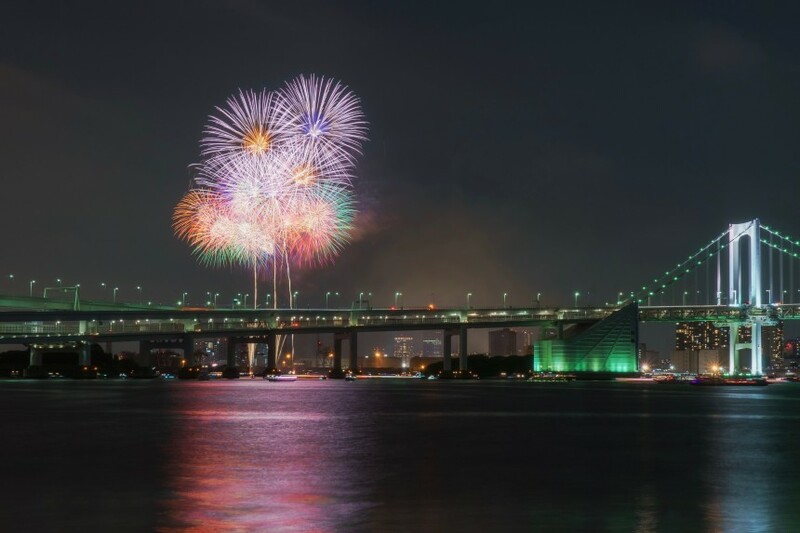 With a history of about 100 years, the 41st annual Adachi Fireworks Festival will launch over 13,000 fireworks along the Arakawa River. 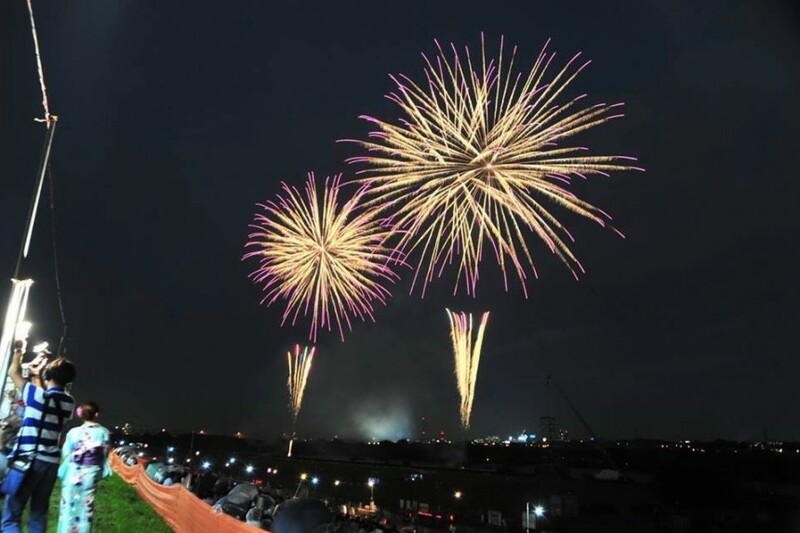 There are plenty of great vantage points throughout the riverbank, so pick a spot and experience the age-old tradition of beautiful summer fireworks. 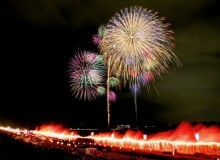 Held in Koto-ku, this annual event sets off almost 4,000 colorful fireworks near the Arakawa River. That number might seem small compared to other hanabi events, but the festival draws huge crowds. 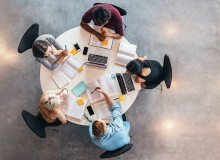 This year, an estimated 300,000 will attend. 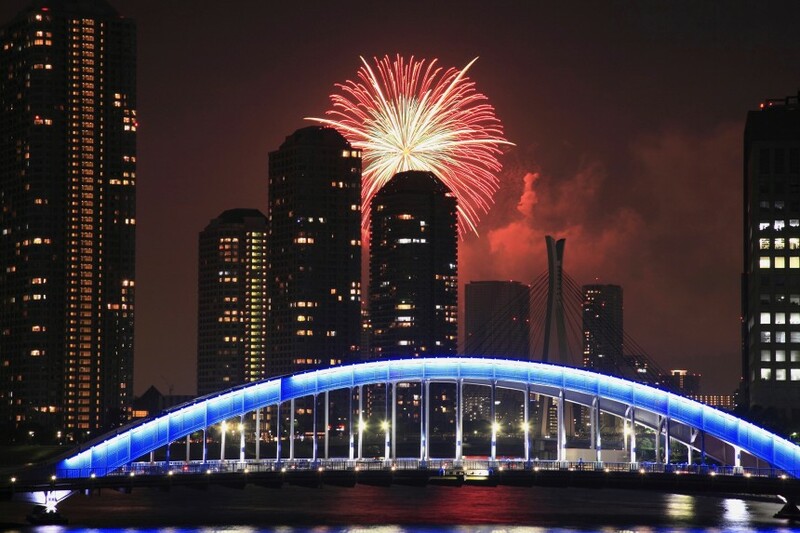 The venue is just 15 minutes from the Minami Sunamachi Station, and the riverbank provides a friendly vantage point only 150 meters away from the launching site. 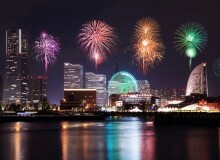 As a historic port city, Yokohama is the perfect venue for an offshore hanabi event. 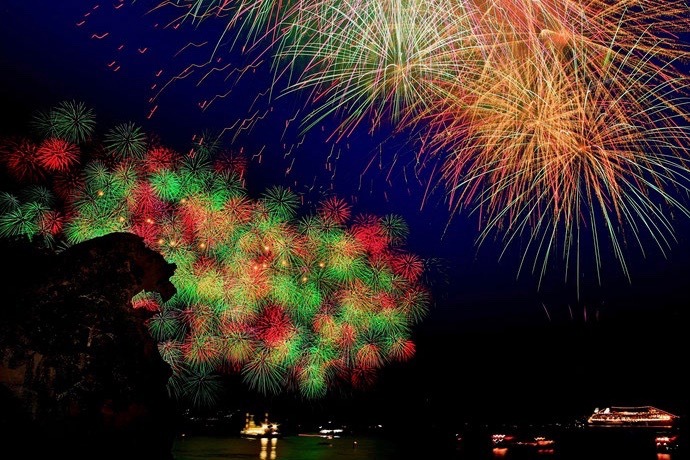 About 3,000 fireworks will go off each day during the two-day festival, which combines gorgeous night views with a number of special events, including parades, music concerts and food stalls from delicious seafood restaurants. 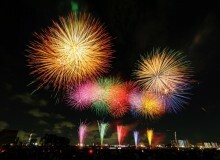 Though it’s not the biggest hanabi event, visitors will be amazed by the display of 6,000 colorful fireworks along the banks of the Tama River. 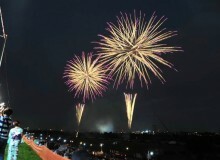 Over 400,000 spectators are expected to visit. 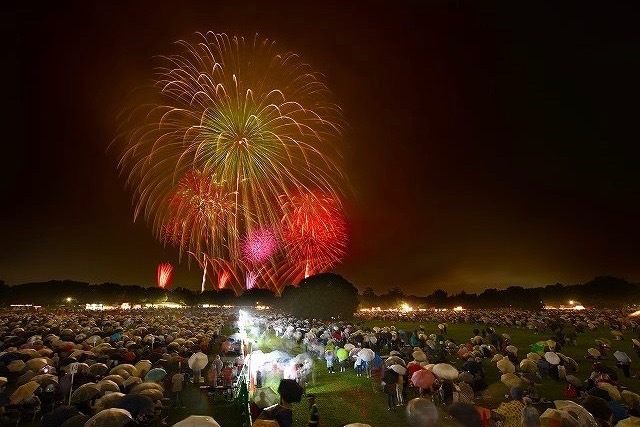 A medium-sized festival that takes place at Showa Kinen Park, this event launches about 5,000 fireworks into the night sky. Although visitors can enter the park for free after 5pm, it’s best to arrive earlier and purchase a ticket for ¥400 (adults) to secure the perfect spot before it gets crowded. 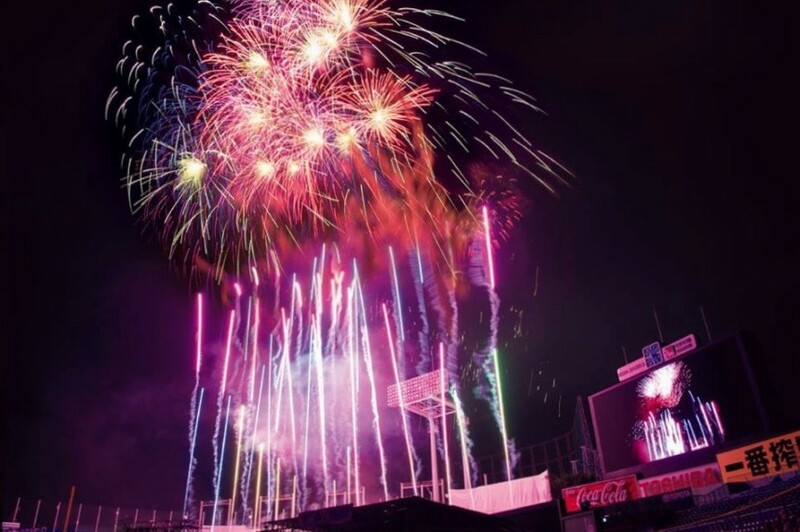 At the Hachioji Fireworks Festival, visitors can enjoy 3,500 fireworks at close range within a municipal baseball stadium. 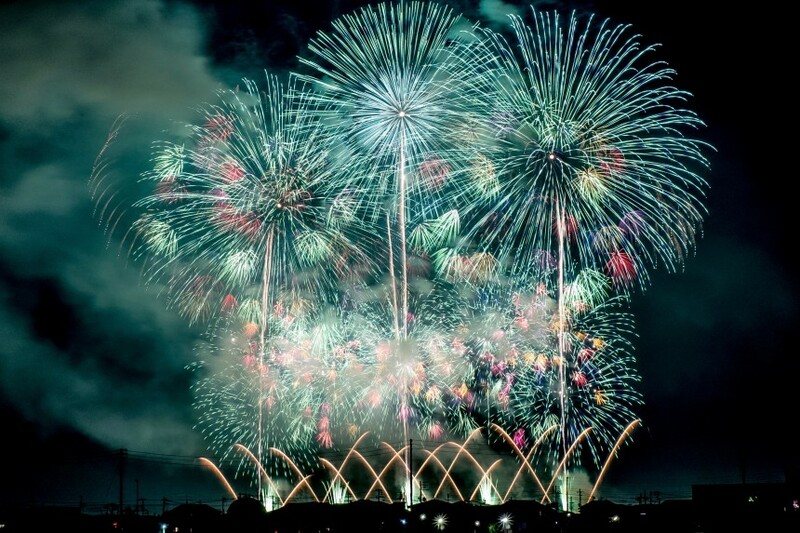 Held since the Edo period, the festival showcases a display of beautifully crafted fireworks and star mines each year. 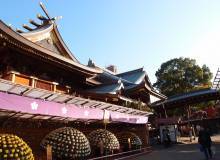 Visitors can stroll through the night market for food, drink and other matsuri goods. There’s no parking at the venue, so public transportation is highly recommended. 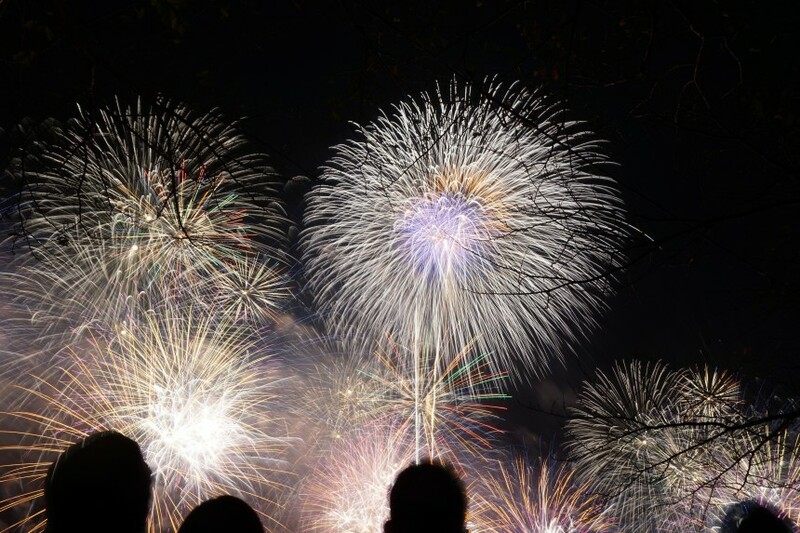 Held on the grassy banks of the Tamagawa River, approximately 9,000 fireworks will light up the sky during a spectacular 70-minute show. 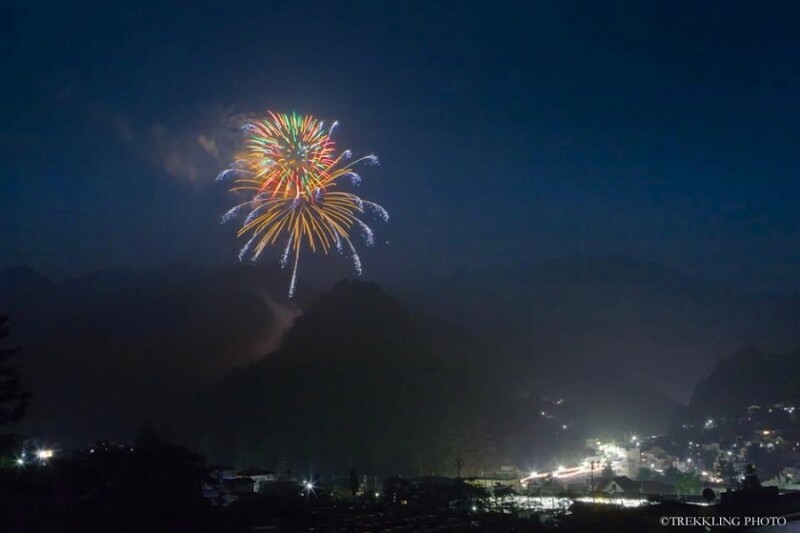 Known as the biggest firework festival in the Nagayama area, this event launches over 4,000 fireworks into the night sky. Tickets can be pricey, but visitors can grab a seat for free anywhere outside the official viewing area. 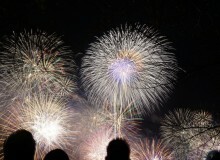 With about 1,000 fireworks, this festival is smaller than other hanabi events in Tokyo. 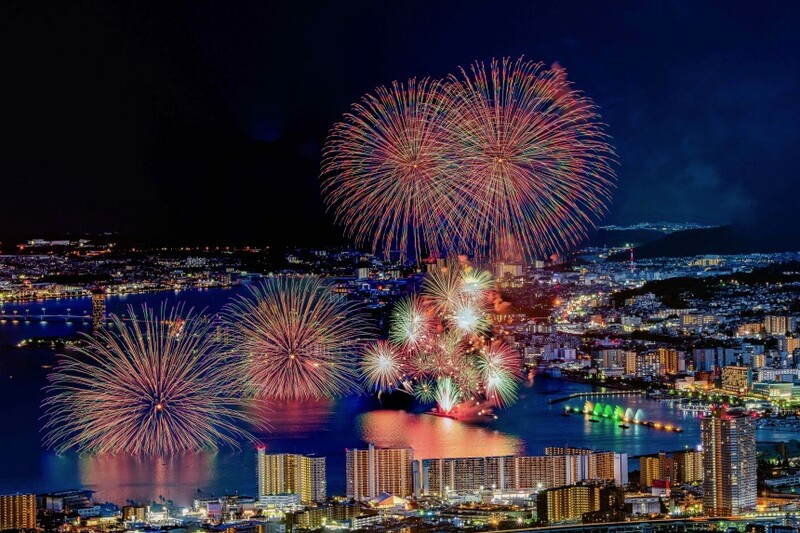 Visitors can avoid the massive urban crowds, sit back and enjoy the stunning display. The venue is two hours from Shinjuku by train. 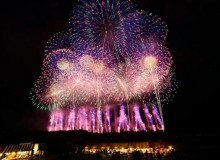 This is the biggest firework festival in the Tohoku region. 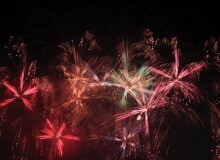 Last year, the popular event attracted more than 700,000 visitors so expect a huge crowd and an amazing show. 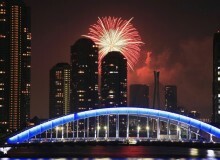 Approximately 530,000 people will come to see this firework display on the banks of the Yodo River. Make sure to get there before 6pm or else you can’t enter the riverbed. A tremendous array of over 20,000 fireworks will be launched in this annual event. 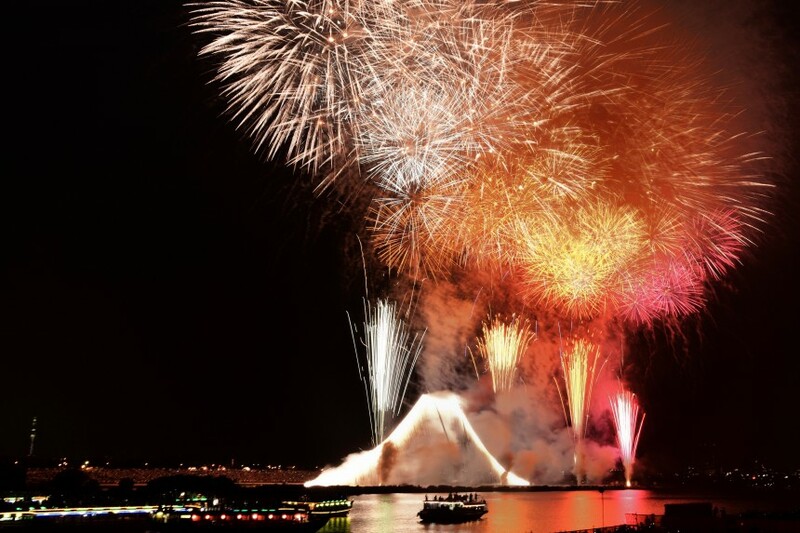 Many Tokyoites are expected to come and see the colorful show, so arrive early to secure a spot on the Sakuragawa riverside. 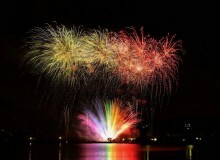 Get ready for a stunning display of 10,000 fireworks to light up the sky over Lake Biwa. 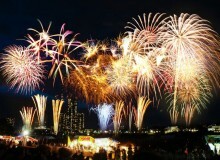 Last year, over 300,000 spectators came to see the show’s massive star mines and various other hanabi displays. 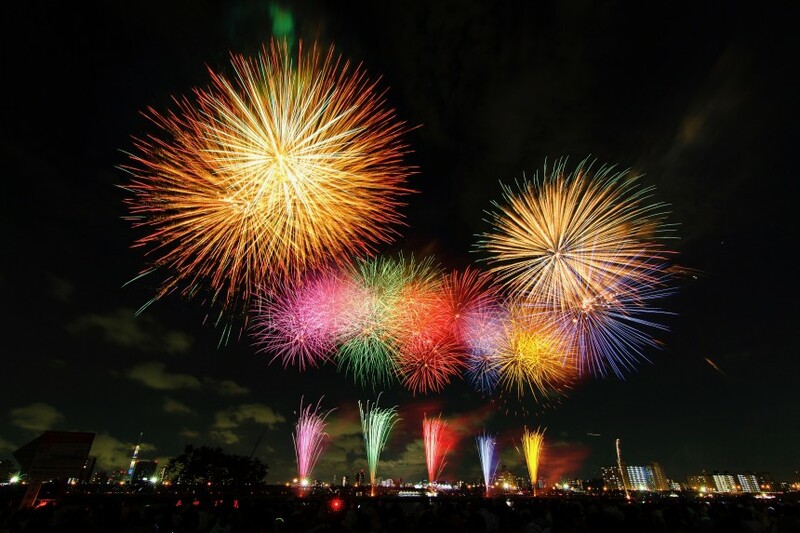 One of the top 10 firework festivals in Japan, the Akagawa Fireworks Festival is a massive event that takes place in the small city of Tsuruoka. 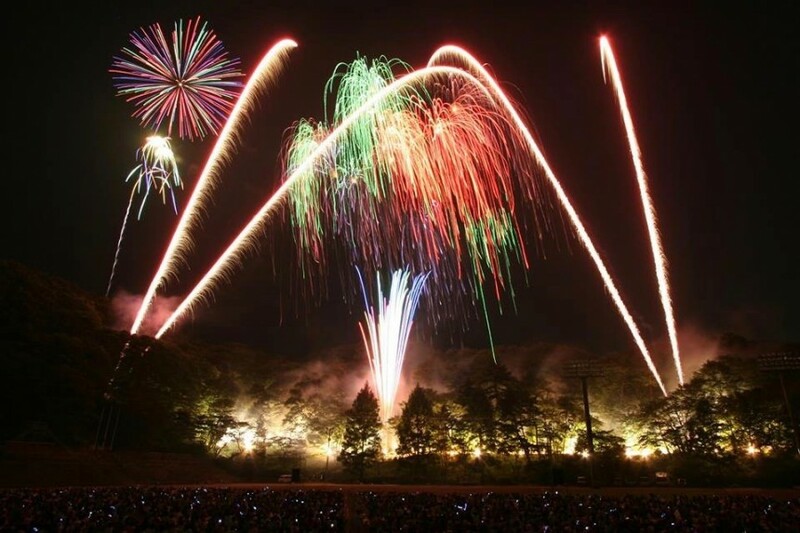 For an hour and a half, approximately 10,000 fireworks are launched along the Mogami River to create a wonderful display. 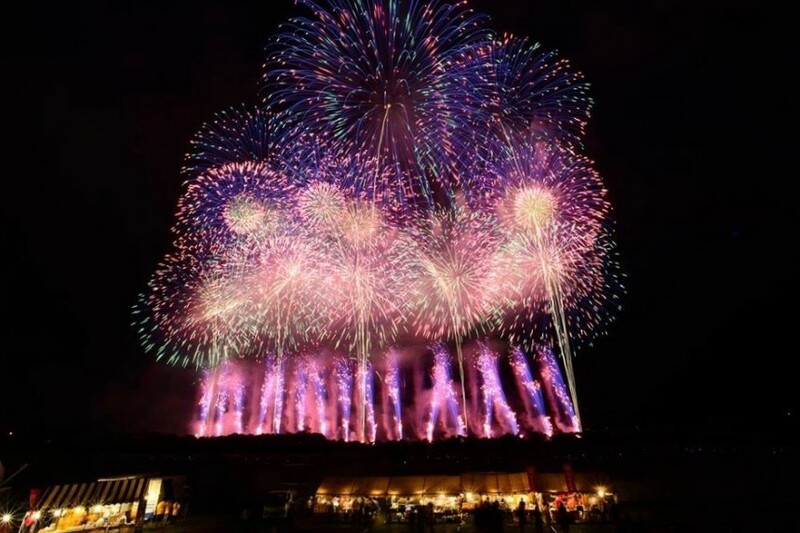 Said to the best hanabi event in Japan, the Nagaoka Fireworks Festival launches a slew of brilliant fireworks into the sky every summer, including Nagoaka’s very own shosanshakudama, which reaches a height of 600 meters and expands to a diameter of 550 meters. 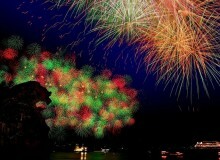 In addition to these gigantic explosions, 20,000 other fireworks will make this a summer night to remember. For the best seats, purchase a ticket online. Tickets cost between ¥3,000 and ¥18,000. 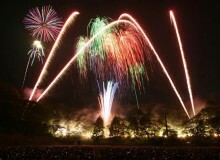 This is the biggest firework event in Mie Prefecture. Over 10,000 explosions will light up the sky above Shichirigahama beach, with a breathtaking view of the Onigajo sea cliffs in the background.